African World Festival celebrated the development of African culture and heritage in Africa as well as the Americas, from the age of the Atlantic slave trade to the modern era. Attendees could learn about African history through performances of traditional African dance, drumming, and storytelling. A replica of an African village was also constructed on festival grounds each year. Organizers of the first festival formed a non-profit called Afro world Enterprises in 1982 and received formal approval from the Summerfest Board in January 1983 to host their first festival that same year. Promoters, including the president of Afroworld Enterprises, Michael Brox, believed the festival would highlight the global contributions by peoples of the African diaspora as well as give voice and representation to Milwaukee’s African American community. Originally called “Afro Fest,” attendance was low during the 1980s, with estimates of 13,197 in 1986 and 18,365 in 1987. 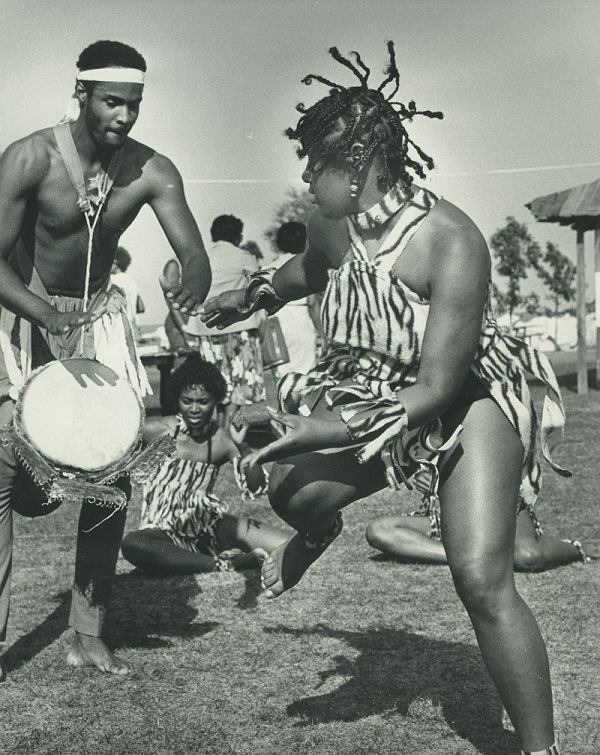 Believing that the title “Afro Fest” failed to fully represent the diversity of African culture, organizers rechristened the festival in 1989. Attendance eventually rose to as many as 80,000 people, but financial challenges resulted in the cancellation of the festival in 2014 and 2015. ^ “Festival to Focus on Black Culture,” The Milwaukee Sentinel, June 27, 1983, 6. According to Kathlyn Gay in African-American Holidays, Festivals, and Celebrations, African World Festival particularly highlighted the history of western Africa and the sixteenth century Benin Empire of modern day Nigeria. Kathlyn Gay, African-American Holidays, Festivals, and Celebrations (Detroit, MI: Omnigraphics, Inc., 2007): 40-41. ^ Gay, African-American Holidays, Festivals, and Celebrations, 41. ^ Eugene Kane, “Grass Roots at the Heart of Afro Fest,” The Milwaukee Journal, June 30, 1983, 6-7. ^ Kane, “Grass Roots at the Heart of Afro Fest”; “A Little about African World Festival,” African World Festival website, last accessed October 5, 2015. ^ Tina Burnside, “Afro Fest Attendance Rises 40%,” The Milwaukee Sentinel, August 3, 1987, 5. ^ Gay, African-American Holidays, Festivals, and Celebrations, 41. Eugene Kane, “Why Can’t African World Festival Succeed?,” Milwaukee Journal Sentinel, May 23, 2014, accessed October 5, 2015.